NEW YORK, March 21, 2019 (GLOBE NEWSWIRE) -- Ready Capital National Bridge Originations Team announces the closing of acquisition, renovation, stabilization and lease-up loans for approximately $100 Million in four states. Acquisition, renovation, and stabilization of a 392-unit, Class B, multifamily property located in the Far North Central Submarket of San Antonio, TX. Acquisition, renovation, and stabilization of a 504-unit, Class B, multifamily property located in the Gulf Freeway Submarket of Pasadena, TX (within the Houston MSA). 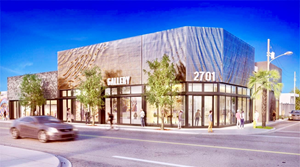 Acquisition, renovation, and lease-up of an approximately 8,000 SF, vacant, shell condition building located in the Wynwood Submarket Miami, FL. Acquisition, renovation, and stabilization of an approximately 52,000 SF, Class B, mixed-use retail and office property located in the Eastside Submarket of Costa Mesa, CA. 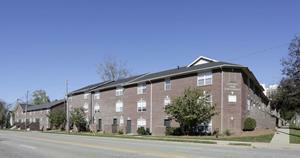 Acquisition, renovation and stabilization of a 79-unit, 276-bed student housing portfolio located at The University of Illinois at Urbana-Champaign and Illinois State University. 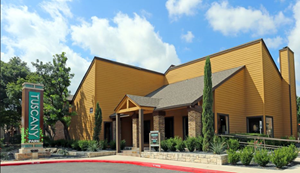 The San Antonio, TX loan is for the acquisition, renovation, and stabilization of a 392-unit, Class B, multifamily property located in the Far North Central Submarket of San Antonio, TX. Upon acquisition, the Sponsor will execute capital improvements to unit exteriors and common area amenities. Ready Capital closed the $25.8 MM, nonrecourse, interest only, floating rate loan that features a 36-month term with two extension options, flexible pre-payment, and is inclusive of a facility to provide future funding for capital expenditures. 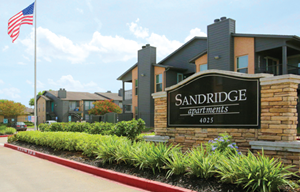 The Pasadena (Houston MSA), TX loan is for the acquisition, renovation, and stabilization of a 504-unit, Class B, multifamily property located in the Gulf Freeway Submarket of Pasadena, TX (within the Houston MSA). Upon acquisition, the Sponsor will execute capital improvements to unit exteriors and common area amenities. Ready Capital closed the $38.9 MM, nonrecourse, interest only, floating rate loan that features a 36-month term with two extension options, flexible pre-payment, and is inclusive of a facility to provide future funding for capital expenditures. The Miami, Wynwood, FL loan is for the acquisition, renovation, and lease-up of an approximately 8,000 SF, vacant, shell condition building located in the Wynwood Submarket Miami, FL. The loan will be used to redevelop the building into high street storefronts with a food & beverage indoor/outdoor concept in the rear. Ready Capital closed the $8.0 MM, nonrecourse, interest only, floating rate loan that features a 36-month term with two extension options, flexible pre-payment, and is inclusive of a facility to provide future funding for capital expenditures, tenant leasing costs, and interest & carry reserves. The Costa Mesa, CA loan is for the acquisition, renovation, and stabilization of an approximately 52,000 SF, Class B, mixed-use retail and office property located in the Eastside Submarket of Costa Mesa, CA. 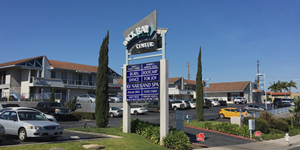 Back Bay Center is strategically located on Irvine Avenue, a primary corridor connecting the desirable neighborhoods of Newport Beach & Eastside Costa Mesa, 2 miles from John Wayne Airport. Ready Capital closed the $20.1 MM, nonrecourse, fixed-rate loan that features an 84-month term with 48-months interest only, flexible pre-payment, and is inclusive of a facility to provide future funding for capital expenditures and tenant leasing costs. 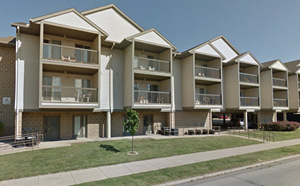 The two Normal & Champaign, IL loans are for the acquisition, renovation and stabilization of a 79-unit, 276-bed student housing portfolio located at The University of Illinois at Urbana-Champaign and Illinois State University. Upon acquisition, the Sponsor will concentrate on increasing occupancy via extensive remodeling of unit interiors and engaging an institutional property management team. Ready Capital closed the $11.9 MM, nonrecourse, interest only, fixed rate loan that features a 36-month term, flexible pre-payment, and is inclusive of a facility to provide future funding for interior capital expenditures. Ready Capital (NYSE: RC) is a multi-strategy real estate finance company that originates, acquires, finances and services small- to medium-sized balance commercial loans. Our National Bridge Originations team offers non-recourse financing on transitional, value-add and event-driven commercial and multifamily real estate opportunities. Ready Capital is a direct lender that provides comprehensive financing solutions to real estate owners, investors and small business owners, which generally range in original principal amounts between $2 - $35 million and portfolios up to $100 million. This press release contains statements that constitute "forward-looking statements," as such term is defined in Section 27A of the Securities Act of 1933, as amended, and Section 21E of the Securities Exchange Act of 1934, as amended, and such statements are intended to be covered by the safe harbor provided by the same. These statements are based on management's current expectations and beliefs and are subject to a number of trends and uncertainties that could cause actual results to differ materially from those described in the forward-looking statements; the Company can give no assurance that its expectations will be attained. The Company undertakes no obligation to update these statements for revisions or changes after the date of this release, except as required by law.